Character: A delightfully spicy, fruity summer Saison, yet a beer for any season. Since late 2014, I have been trying to gt my hands on the releases by Gigantic Brewing Company. Each beer is numbered in a series, like comic books. In fact, their labels even look like comic book covers.Volta, the brewery’s Saison/Farmhouse Ale was #21 in their releases. I know I have said this before on this site, but I love Saisons, so I was pretty excited when this one arrived on my doorstep, which would not have been possible if it wasn’t for my good friend, Jorge Espinoza (www,animebeers.com). As usual, I have to send a huge thanks to this man for helping me get some pretty wicked beers from around the world that are not normally available to be here in Texas. One thing I love about Gigantic Brewing is their love for art. They use different artists to do their labels. For Volta, an artist named Joe Shea from Portland, OR. His sryle of art consists of creating unique 3D characters, and building around them. As you can see from the label here, Volta features a big bodied man with small skinny legs, arms, neck, and a small doll looking head. He is sitting atop a canoe holding a hand made oar. There are fish, sharks, and seagulls around him. The man looks very country-like with his large belt buckle and red flannel. To be honest, for some people this guy is what nightmares are made from. It’s a great piece. I poured this beer into a Real Ale Brewing snifter glass. This monster’s appearance was a clear dark golden color with an orange hue, and topped with a half inch white foamy head. The head stuck around for a bit, leaving spotty lacing on the glass. The nose was typical saison hay, wheat, and farmhosue earthiness. Characters of grass, and floral hops, along with lemon, banana, apricot, fresh baked white bread loaf all show up in the aroma of this beer. There is a lingering aroma of lemon, and farmhouse funk. The taste had great farmhouse flavors, hay, wheat, and an earthy funkiness. Fruit flavors shine out like banana, lemon, and apricot, mixed with a little black pepper, grains, floral greenery, grass, and earthiness. The aftertaste is a lingering combination of lemon, apricot, and farmhouse funk. The body was a medium thickness with an oily and slick mouthfeel. There was a nice spice on the palate as well. Decent carbonation. The finish was a bit dry. Overall, I was pleased to have received this bottle by Gigantic Brewing. Since the time that this beer was actually consumed, Gigantic Brewing is now available here in Texas. So far, not everything has hit our shelves, but their regularly brewed beers have been spotted around town in bottles and on draft. So far, everything I have had by this brewery has been rated high. I have a couple of more beer reviews to post by Gigantic. Hopefully soon, they will make the site. I am also looking forward to any new beers I can get my hands on by these guys. Way to go Gigantic on this awesome Saison, which is one of my favorite styles of beer. Cheers, my friends! Metal Connection: The word “volta” in Italian means time. In literature a volta is a turn, a dramatic change in thought and/or emotion. 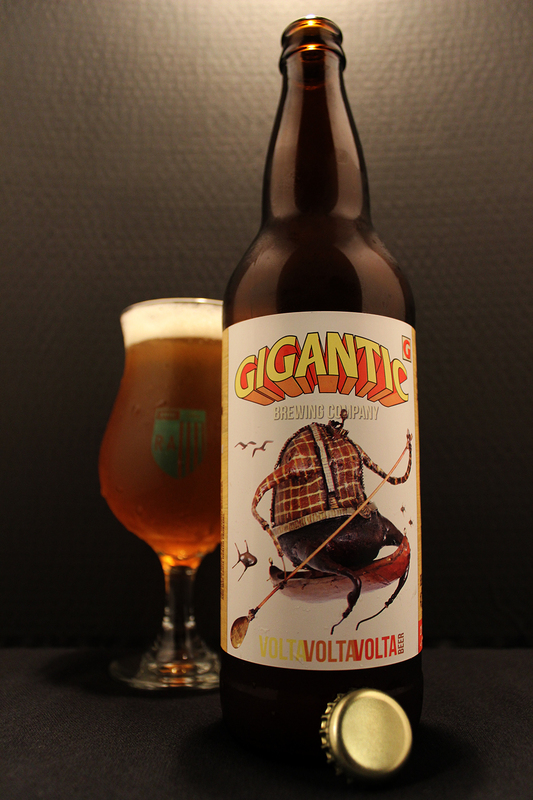 According tot he label for this beer, Gigantic describes Volta as a delightfully spicy, fruity summer Saison, yet a beer for any season. 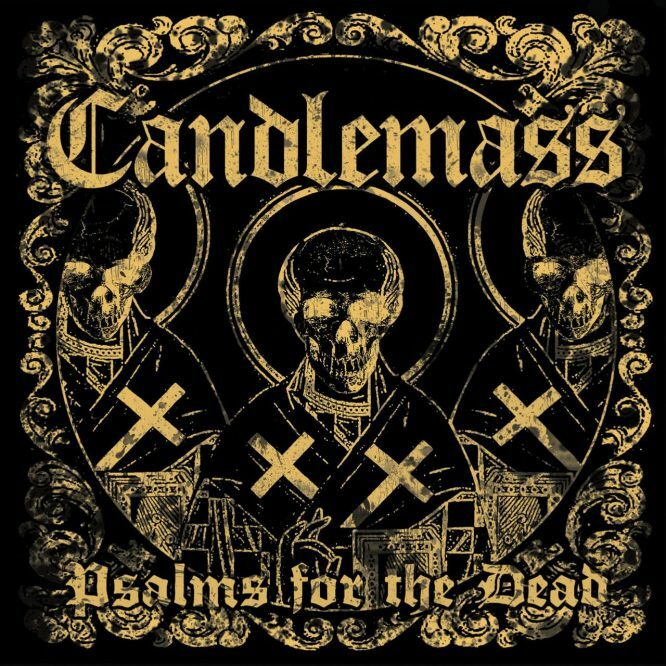 After countless hours of searching for a perfect song to pair this beer with, my search came to an end when I came across the song “Black as Time” by the Swedish Doom Metal band, Candlemass. This song was part of their 11th studio album, Psalms for the Dead, which was released in 2012. I thought the lyrics were perfect for this Metal Connection, since the label for Volta mentions that the beer is perfect for any time of the year. The song describes time as being all around us, and a force to be reckoned with. At anytime, life may cease, so enjoy every minute with a good Craft Beer in hand, like this amazing Saison. Cheers to Volta!